The Science of Taste: How Do We Taste Our Favorite Candies? Every day, the team at Chutters watches visitors walk in the magenta and purple storefront and leave with their favorite confections. 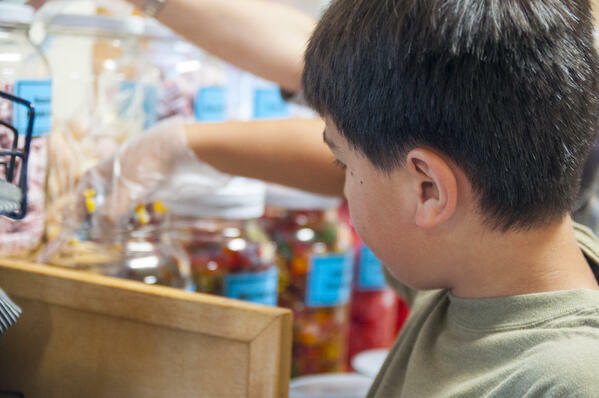 They choose from hundreds of hard candies, gummies, and handcrafted chocolates selecting a few classics and maybe a couple treats they’ve never tried before. 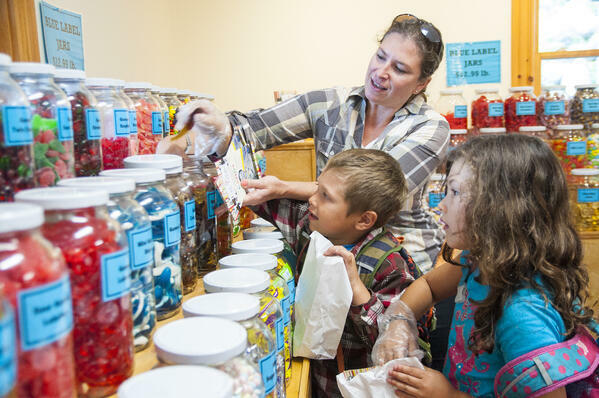 That’s the beauty of visiting the world’s longest candy counter! There are a ton of options to choose from. The question is, why do we choose the specific candy we do? Why is it that one person can’t stand the texture of gummy worms but those same gummy worms are another person’s favorite candy? Chutters Candy Counter investigates to find out the science behind taste! Touch, taste, sight, sound, and smells are our five senses. How things taste is dependent on how the food we eat sounds, smells, looks, and feels! All of these senses have a pretty big role in how food tastes. For example, when you eat gummies, you expect an elasticity to it. When you eat chocolate, you expect the aromatic experience that comes with biting into a chunk of homemade fudge. The way we receive this information through the senses is a result of both nature and nurture. How we are raised, our parents’ food preferences, and how all of the senses perceive certain foods. The need of the senses in taste is the difference between a flavor and taste. For example, a strawberry jelly bean tastes sweet and the flavor is strawberry. If you blocked your nose and ate a strawberry jelly bean, it would taste sweet but not specifically like strawberry. That’s because the scent of strawberry is what you are “tasting”. Don’t believe me? Visit Chutters and grab a bag of jelly beans that are the same color (strawberry, cherry, raspberry). Block your nose and try to identify which flavor the jelly bean is. When you unblock your nose, you’ll get a rush of smell and likely be able to identify the flavor. It’s the same thing with Skittles! They are actually the same exact candy and each color of Skittle is coated with a scent. Not only do we have five senses, but we also taste a combination of five flavors in our food! Sweet, salty, sour, bitter, and umami. The first four are easily recognizable. Sweet like sugary candies, salty like salted caramel, sour like sour patch kids, and bitter like a bar of really dark chocolate. What in the heck is umami? This term was coined by Japanese culture as a fifth flavor that roughly translates to “wonderful taste”. This was recently recognized internationally as a fifth taste over the past decade. It is the taste of glutamate, which is an amino acid that elicits a flavor that is described as savory, brothy, and meaty. This flavor can be tasted in parmesan cheese, a juicy beefsteak tomato, chicken broth, and many other foods. Did you know? On average, our taste buds regenerate every three days! As you get older, taste buds regenerate at a slower rate causing you to require more flavor to achieve the same taste. For example, those who have a preference for adding salt to food will add more and more salt over the years (maybe without even realizing it!) It’s the same reason why you may like foods that you did not as a child. Children tend to be pickier because they are much more sensitive to taste. The pace at which our taste buds regenerate, the combination of how our 5 senses perceive taste, and a balance of nature and nurture all takes a role in what flavors we like and dislike. The chewy texture of a gummy worm may enhance the taste of the candy for you, and be the reason why someone else can't stand them. There's no ONE reason why we like to eat some things and not others, but the combination of these variables takes part in it. If you have a strong sense of smell and poor eye sight, how you taste things will be dramatically different than a person with 20/20 vision and a congested nose. Okay, but DID YOU KNOW? Sweet foods actually help form a memory of a meal. This has led researchers to conduct studies on sweets and their ability to control a diet. This is because sweet foods are known to trigger the dorsal hippocampus, which controls episodic memories. It is what tells us, “I’m not hungry yet, I had a large breakfast”. That awareness of time is strengthened by eating sweets and it can be used to control eating behavior. 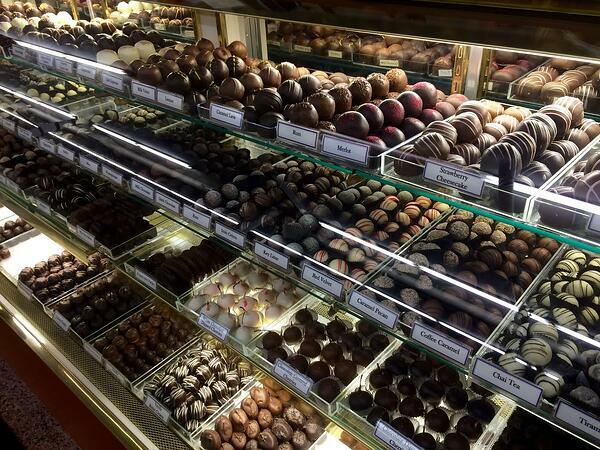 Another (good) excuse to treat yourself to some delicious sweets! Alright, but get this. Sweet teeth are designed for your SURVIVAL. Scientists believe that preference for sweets is a design of survival instincts (which honestly makes you pretty cool for having that sweet tooth). It is believed to be a part of ancient evolution that allowed humans to be more omnivorous and enjoy the taste of nutrient-rich fruits. Maybe this doesn’t apply to oreo fudge, but I’ll take it anyway. Would you like to keep reading blogs like these? (I sure hope so). Subscribe to our blog and we’ll occasionally send you emails to update you on any new blog posts.